Betty V. Brake, 85, of Martinsburg, West Virginia, passed on Thursday, August 2nd, 2018. Daughter of the late James Allen and Gracie Whetzel Allen. 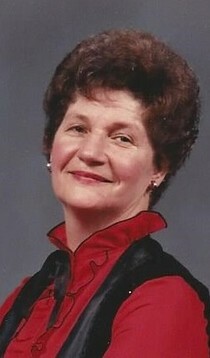 Wife to the late Wayne W. Brake. She is survived by 3 children, Larry Brake of West VA, Robert Brake of Rockville, MD and Deborah Winstead of Frederick, MD. Also survived by 6 grandchildren and 9 great-grandchildren. She is also survived by her sister, Barbara Ann Dees and 3 brothers, Ralph Allen, of Virginia, Glen Allen of Hagerstown and Stanley Allen of Mt. Airy. Friends and relatives may visit the Roy W. Barber Funeral Home on Monday, August 6th, 2018, from 11AM-12PM, located at 21525 Laytonsville Road, Laytonsville, MD 20882. Funeral service to follow. Interment will be at Parklawn Cemetery in Rockville, MD.